This is 25 things I wish I knew when I started making wooden rings. 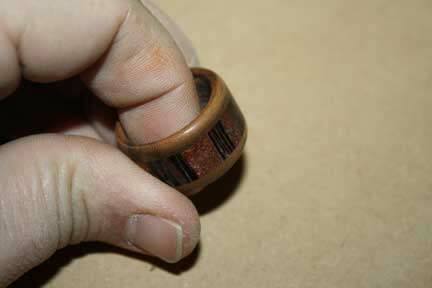 Making wooden rings is an awesome hobby, and it’s easier than you may think to get started. These are all the things I wish I knew when I first started, and they will help you get a better start. Enjoy. Making wouldn’t rings is a very for fulfilling hobby, and there are a number of great reasons. The first that comes to mind is how simple it is to get started. Even with the easy start however, you can take the practice much farther than that. At the basic level, wooden rings are an easy project. At a high-level, it can take years of woodworking and experimenting with materials to make your rings. Therein lies the beauty though, because anyone can start, and you can take it as far as you like. When I first started, made a lot of mistakes. Such is the case with any beginner, and it’s my hope that by revealing all of the things that I wish I knew in the beginning, I can help you avoid many of those same mistakes. 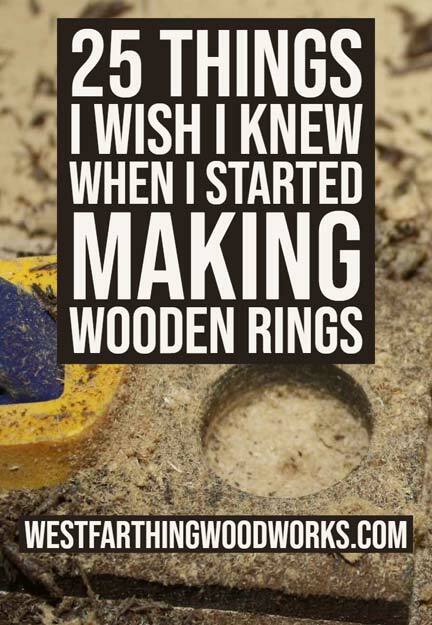 It will also help you make much better rings right from the start. This extra boost in momentum will carry your project even farther, and much faster. It’s a lot less stressful when you don’t make mistakes, and you feel a lot more accomplished. Here’s the list, and I will go into every one of these and detail farther down in the post. Each of them are important, and they will all help you make better rings. If you are serious about getting started, go through these helpful ideas, and start learning right now. Above all, making wooden rings is easy. Even if you don’t have any woodworking experience, or very little woodworking experience, this is an easy project. It’s a great place to start, and it’s very forgiving for the time and materials involved. The biggest hurdle of any project is getting started. There’s a lot of unknowns, and there is a feeling that you might not be successful. 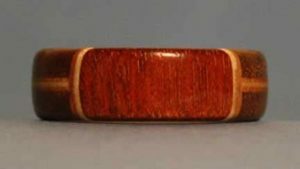 Woodworking covers a lot of different aspects, and sometimes any aspect of woodworking can be lumped in with the difficult parts. Wooden rings however are very different. They are a small project, an easy project, and they are something that you can do if you have the patience and you try hard. In the end, you control the majority of the outcome. Don’t think that you are capable of making some of the beautiful designs you see in the world. You are, you just need to start. I really wish I knew that I didn’t take many tools to make a wooden ring. Even at the time, I had a lot of tools, but I didn’t realize that it took so little. This is one of the benefits to a new woodworker, and it makes the barrier to entry very small. In reality, all you need is a drill, a small saw, some clamps, and some sandpaper to make a wooden rings. Of course there are other things that make the process a bit easier and faster, but that’s the bare minimum tool set, which nearly anyone can afford. Essentially all you’re doing is gluing up a thin piece of wood into a blank, then drilling a hole through the middle. After that you saw off as much waste as you can around the hole, and then sand it smooth. Adding an extra tools, especially power tools does make the process faster. However, it doesn’t necessarily make it any better. A dedicated in patient person with hand tools can do every bit as good of a job as somebody with power tools. The moral of the story? Don’t worry about how many tools you have, you really don’t need very many to get started. Wooden rings are small. For that reason, you don’t need a lot of wood to make a nice wooden ring. This means your materials cost is very low, and even in the case of using a nice piece of wood, it’s still very low. 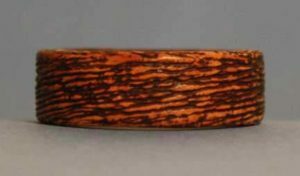 There are some really exotic and high end wood species in the world. They come from all over the globe, and they are both rare and beautiful. For that reason, they are high in price compared to other species that are found locally or in abundance. 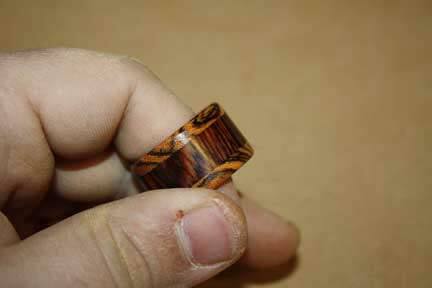 The nice thing about making a wood ring is that you only need a small piece. That means even if you’re dealing with a very expensive species of wood, the amount you need is so low that it brings the cost down into a realistic area for most woodworkers. There is a lot of beauty in the world when it comes to wood, and the fact that the project cost is so low due to the size, you can easily get your hands on something beautiful. Again, the piece is so small that the prices are almost insignificant. In contrast, if you were making larger projects you might never get to experience that species due to the overwhelming cost. Kitchen cabinets, and furniture are very big, and they might very well price you out of the top species for beauty and rarity in the world. It surprises most people to find out that natural wood is available in nearly every color. There are so many different wood species in the world, that you can spend a long time learning about them all. This is very helpful to a ring maker. Let’s say you want to make a ring that is red. Well, there are at least two wood species that are naturally red, and they are both inexpensive. What about purple? You can find wood that is also naturally purple, varying from light purple tones to very deep. There is wood that is white, wood that is black, and every natural shade in between. 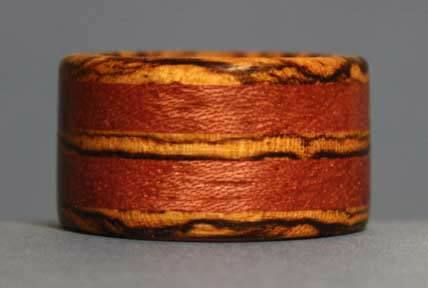 You can make a wooden ring in almost the exact color you wish just by picking the right species. This gives you a lot of options, and make sure designs a lot more versatile. At the time I started making wooden rings, there were no books available. After I had been making them for a long time, and personally made several hundred of them, I decided it was a good idea to fix that problem. 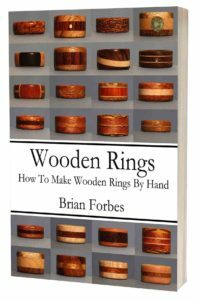 The only book currently written on making wooden rings is written by me, and it can teach you a lot about making wooden rings. I intentionally wrote the book using the minimum amount of tools, though you can substitute others if you have them. Not only are there step-by-step instructions and examples of over 50 rings, but a complete and detailed section on tools and materials is also included. 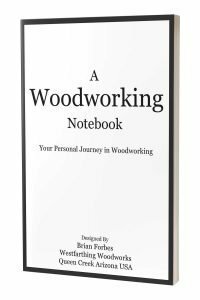 If you’re the kind of woodworker that does best with a book, then this book will tell you exactly what you need to know. Sometimes, it’s worth skipping to the head of the line by getting a good book. You benefit from all the trial and error that the author had to go through, and that’s worth the cover price all day long. You will advance a lot faster, and with a lot less mistakes. 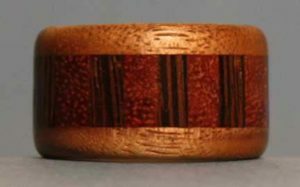 One of the interesting things about wooden rings is that you can also use materials that are not wood. In most cases, it’s best to use it in conjunction with wood, otherwise the name starts to lose its meaning. These materials range from plastic, to acrylic, metal, bone, shell, and more. It’s amazing the type of things that you can combine with a piece of wood to make an incredible look. The sky is the limit, and these materials can be found nearly anywhere. One of the most fun things to do is to combine acrylic with wood. You can find acrylic blanks at a wood turning store or online at a site for wood turners. They got a design that you like, and glue some thin pieces of it to your favorite wood. 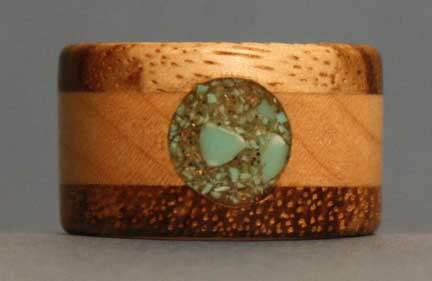 Now, you have a blank that is both modern and traditional, and will make an amazing looking ring. Also, the amount of acrylic designs is nearly endless. This means you can create awesome combinations for very long time without running out of ideas. 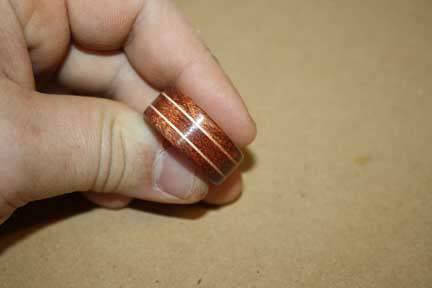 After you’ve made a couple wooden rings, you should try adding a metal core. Using a traditional metal band inside of a piece of wood essentially acts as a support structure, and can make your ring far more durable. Wooden rings are not weak by any stretch the imagination, but they are no match for a piece of metal. When you add metal as the base layer in your wooden ring design, the wood showcases the beauty, and the metal is there for strength. The other beauty of this process, is that all you need to do is drill a hole and put the piece of metal inside to make your blank. It’s a lot easier of a process and people imagine, and you can significantly increase the quality of your wooden rings. Making rings by hand is fun, and an exercise in patience. However, when you do decide that ring making is for you, and you want to invest in a tool that will make the biggest difference,a good wood lathe is an absolute game changer. This is the only tool that you should think of when it comes time to buying a bigger tool for making wooden rings. Not only does it make the process a thousand times easier, but it also makes it a lot faster, and a lot more uniform. It’s rare that you can do something faster and better in this world. Normally when you increase one you decrease the other. With the lathe, this is an exception. Your process will become much faster, and your results will become significantly better. With the lathe does come some other tooling, like a chuck, expanding ring mandrel, and lathe tools. Make sure that you look into those things before you jump into the total purchase, otherwise it would be like having a car but without a steering wheel. 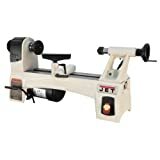 Thankfully you can find those items for a relatively inexpensive price, and you can even look into carbide lathe tools so that you don’t have to buy sharpening jigs or equipment. Take a look when you’re ready, and even look at the used market too. One of the most important aspects of a wooden ring is the finger opening. Not only does this need to be the right size, but you also need to drill it in a way that doesn’t give you a whole lot of extra work. This is where the Forster bit comes in. There is no better drill bit in this world that leaves as smoth of a surface as the Forster bit. They are not very expensive, and you only need a few of them. Once you drill your finger opening this way, you will never do it any other way. Pick up a Nice Set of Forstner Bits on Amazon, and you won’t be disappointed. The board will be very smooth, and you will have to do next zero work on the inside to prepare the surface for a finish. It will save you a lot of time, because the inside of the ring is hard to work on due to the confined space. If you have a Dremel tool, this can be very useful part of your process. One of the things that is very good at is enlarging a finger opening. Another is adding texture to the outside of the ring for a specific look or design. 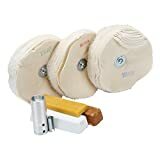 If you don’t have one, This is a Good Dremel Kit on Amazon that will give you a lot of options, and help you make better rings. If you have to expand the finger opening, this can be very difficult by hand. Instead, use the Dremel tool with the sanding drum and carefully remove material. Test fit the ring a few times, and make sure that you keep the opening round. When you are done, the inside of the ring will be expanded to the size that you want, and it will still look good. It will also be a lot faster because power sanding is a lot easier than sanding by hand. Lastly, the Dremel tool is very good for adding a texture to the outside surface. 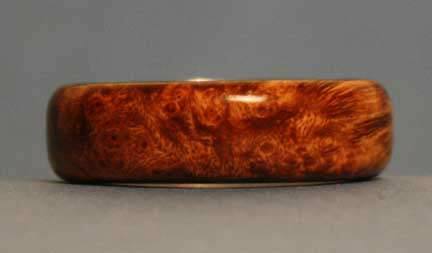 You can use a round burr to add little dimples all over the surface, and depending on how long you linger, you can very the depth. You could also use any other number of cutting bits to create lines, crosshatch pattern, or any other design on the surface. The Dremel makes it really easy, and your imagination is your only limit for what you can create. 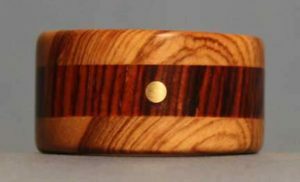 You may think you need to drill press to make wooden rings, but that’s not the case. All you need is a way of making the hole, which means you can use a hand drill as well. This is much less expensive, and also much more common to find. In the beginning, you may be able to find a friend that has a drill you can borrow. This is a deal because it will allow you to start making rings without that part of the investment. As the hobby grows on you, you can then decide to purchase a drill of your own. Even if you decide to purchase a drill up front, a corded electric drill is very in expensive now because cordless drill’s are more popular. Not only are corded drills more powerful, they are also far less expensive, and they do the very same thing. 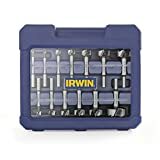 Depending on the brand, you can find a drill and a discount tool store for as low as $20-$30. The name brands are going to cost more of course, but they are still far less than a cordless drill. Either way you go, it’s a low initial investment. Also, there is absolutely no need for a cordless drill when you are making wooden rings. Of course it’s nice to have the freedom to move around without a cord, but you are only going to be drilling the hole one time, so it’s not much of a burden. In the beginning, figuring out the ring sizes and the drill equivalents is more difficult in your head that actually is in real life. Ring sizes are measured and numbers and sometimes letters, depending on where you are. All you need to do is convert them. There is a chart in my book that describes each size and then converts it to the nearest fractional American drill size. If you have the book great, if not just measure the inside diameter of a ring, and get a drill that’s very close without going over. You can also purchase a ring sizing stick, also called a ring mandrel. Measure the mandrel at the size you need, and pick the right drill bit. The most important thing to remember is to pick the closest drill that is still a pinch smaller than the size you were shooting for. If you can find a drill that is exact, then use it. However, when you have to choose an off size, then always go smaller, and enlarge the hole later with the Dremel. After you drill, the hole can always be enlarged. However, if you drill the hole to big, it’s much more difficult to make it smaller. 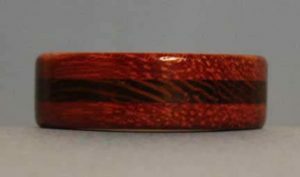 You can actually do that with a piece of wood veneer that you bend with heat, but that’s a story for another time. See Also: Can Wooden Rings Get Wet? One of the first tools that you can incorporate to bring power to your ring making operation is an expanding ring mandrel. Essentially this is a holder that fits inside a drill chuck. It can be mounted on the lathe, drill press, or hand drill. The way the mandrel works is that you slide your ring onto the biggest step you can, and then tighten a bolt that expands the mandrel to grip the ring from the inside. You then turn on the tools and the mandrel spins very quickly. This allows you to sand and shape much easier than working without power. It’s the most beneficial on the lathe, because you can use lathe tools to shape the ring. However, even a hand drill makes the sanding and shaping process much easier. The nice thing about these devices is that they are typically around $50. This means the average ring maker can afford to get one of these right away. If you plan on making and selling rings, adding power is a great way to increase your production speed. In the beginning, you really only need some wood files and some coarse sandpaper to do your initial shaping. Wood files are inexpensive, you can find them at nearly any hardware store or even some regular general stores. Sandpaper can be purchased anywhere, but for the initial shaping I recommend buying a sanding belt for a powered belt sander. Not only does this paper clog a lot less, it’s also a lot stronger. You can even glue pieces of it to blocks to make sanding sticks. I recommend an 80 grit belts, and then for finer sanding you can pick up a 100 grit belt. Cut up some pieces and make a few small blocks that you can use almost the same way you would use a file. It will make your shipping process a lot easier and faster too. One of the things I wish I knew when I first started making wooden rings is that the scratches will eventually go away. Sometimes, sanding can feel like a never ending exercise. Don’t worry, those scratches are going away, it just takes time. There are a lot of good sanding tips out there, but one of the best is to work in a certain area until it’s right. The problem with skipping around is that you dilute your effort’s, and that can make seeing results in any particular area much harder. You are still getting the same amount of results, they are just spread around the entire project. When you focus your efforts in one area and get it right, you can start to visually see what percentage of the ring is completed. This helps you build momentum, because you can actually see progress. Even though technically the progress is the same as if you were spread those efforts around, mentally it’s much different to see at least a portion of your project complete. Early on your find out that there is a difference between adhesives. 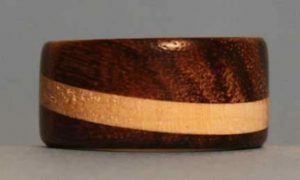 Most wooden rings can be glued together simply with wood glue, but when you incorporate other materials you need to start looking for a different adhesive. Plastic, metal, bone, and shell are not secured very well and less you use two part epoxy. This is incredibly strong, and will bond nearly anything to nearly anything else. It’s not expensive, and a single tube will last you a while when making wooden rings. Purchase a name brand epoxy from a reputable manufacture. These products dispense into piles, and then you mix them together. Most of them will allow you to work with the material for anywhere between five minutes an hour. Depending on how quickly you think you can glue things together, purchase the epoxy that has the right amount of open time. After you coat both surfaces and clamp them together, the epoxy cures and the bond is incredibly strong. If you were just sticking to wooden rings and being pure about the name in the description, then you will only be using wood. If that’s the case, then you only need a bottle of wood glue to start creating blanks. Just like with the epoxy, it’s important to pick a name brand wood glue from a manufacturer that you trust. In the beginning you may not have anybody that you trust because you don’t know anybody. That’s fine. 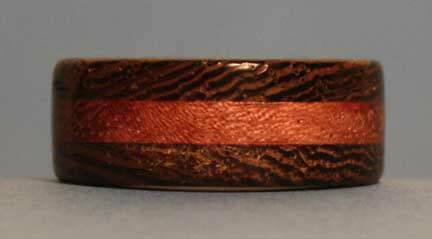 Instead, look for what other woodworkers are using. If you want a really good glue, that you don’t have to worry about, then use Titebond. 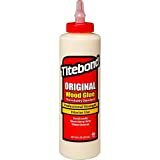 Many millions of woodworkers have trusted their projects to Titebond Wood Glue, and you can do the same. It’s the only glue I’ve ever use for my wood to wood joints, and I’ve never had a reason to change. It’s actually a lot easier to inlay wooden rings then you would think in the beginning. When you’re making a ring, inlays are a awesome way of decorating the surface, and you can really make your own personal designs come to life. Traditional inlay requires that you create an opening, and a piece of wood that fits perfectly inside. This is super difficult for the beginner, but that’s where epoxy inlay comes in to save the day. It’s super easy, and you only have to get one part of the process right. With epoxy inlay, all you have to do is create a cavity that looks how you like. This can be a circle, a series of lines, or a band that goes all the way around the outside of the ring. After that, you just pour your epoxy. There are a lot of places that sell additives for the epoxy, that change the look. These range from dust, to glitter, to little stones, and even more. To make an incredible look, mix several of these things in your batch of epoxy and then apply that to the cavity. The epoxy will take whatever shape you create on the surface. All you have to do is fill it up with your mixture, let it cure, and then sand it flush. 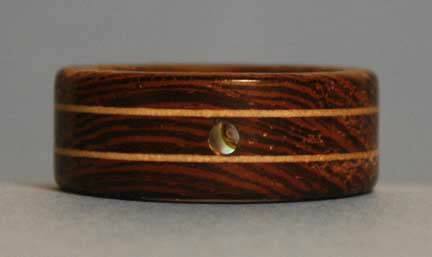 Once you do this type of inlay on your wooden rings, you will find a reason to do it on every project you make. 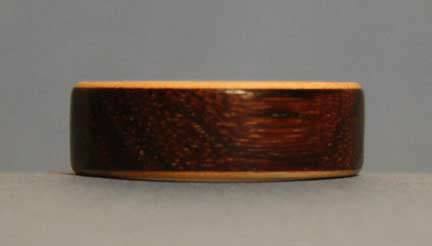 Another great inlay for beginners is a round inlay. These don’t have to be large or difficult, all it needs to be is a round dot. You can make these from dowel rods, or small metal rods like copper brass. The beauty of this type of inlay work is that if you can drill a hole, you can make an easy inlay. All you have to do is drill the same size hole, drip a little epoxy in there, and then push in a tiny segment of the rod. After the epoxy cures, sand the inlay flush to the surface, and you’re done. If you’re using wood, then use wood glue. However, metals and other materials will require two part epoxy told them together. If you’re looking for a small accent on your rings, then purchase a 1/8 inch brass or copper rod. You can also purchase tiny round abalone inlay pieces, and mother of pearl inlay pieces. These install just the same, simply drill and drop. For someone that doesn’t know the process, this makes your wooden rings look far more valuable. Nobody has to know that all you did was drill a hole and glue something inside of it. That part can be your own secret. Even though wooden rings are very easy to start learning, there is always something new that you can learn to advance the craft. Like any other skill, you have to be inside of the process in order to see those opportunities. It’s amazing how many ideas you are going to be flooded with in the beginning, so be prepared to take a lot of notes. I have a woodworking notebook that is a really great place to store your best ideas, and you can even store your wooden ring projects as well. Don’t mistake any of those beginner ideas for bad ideas. Write down every idea you have about making wooden rings and get them captured on paper. You are going to forget them, and you won’t have the opportunity to go back and see them with more experience in the future. There is always something you can learn, and those ideas will lead you in many different directions. Pay attention to your ideas, and even the wild things that you would like to incorporate in your designs. This is how you advance the craft, and set your own standards. If you don’t like the color of the wood that you have, and you don’t have the ability to run out and get another piece, you can always use wood stain to change the color. The easiest to use his household stain, but you can also use dye stains. Prepare your ring by sanding it really well and removing any blemishes. Stain and finish will only make the blemishes stick out more. Once you’re done, apply the stain following the directions from the manufacturer, and let it dry. After the stain is dry, you need to coat the surface with a clear finish, whether that is a film finish or in oil. I recommend a film finish because it tends to trap the stain particles a little bit better, but test out what you like and see how it performs. Ring is such a small item, and you can make several of them fairly easily. Don’t be afraid to sacrifice a couple of them to try out finishes that you really like. After all, it’s only a tiny piece of wood in a couple hours of your time, it’s worth it to test your finishes. 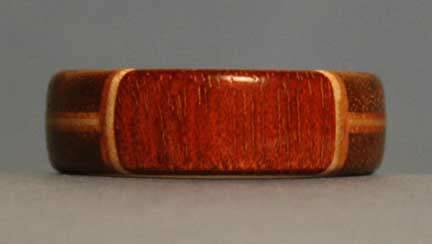 Easiest type of finish to apply to a wooden ring is just an oil. This can be a natural plant oil, or it can be some of the more advanced oil’s. These include Tru-oil, boiled linseed oil, or walnut oil finish. Some finishes labeled as oils are not actually oil’s at all and they’re just a wiping varnish, but that’s OK. You can use varnish, or any other wipe on polyurethane as well. The point is to coat the ring with a thin layer that is very even, and let it dry. You can repeat this process a couple times to build up a thin layer. This only works with film creating finishes, so skip this part if you were using a natural oil. The directions on the can will indicate whether multiple coats makes a difference or not, so follow them. Going to the next level on your finishes actually really easy even in the beginning. There are systems out there that allow you to buff pieces of wood to a very high sheen. This is a super easy way to finish your project, and it only takes about 30 seconds. Of course there’s an initial investment in buying the buffing system, and a way to turn it. If you have a lathe, you already have a way to turn it, the same goes for drill press. If you don’t, then make sure you consider that part of the initial investment if you decide to move forward. I recommend The Beall Buffing System, which is what I use in every tutorial. The buffing wheels are basically layers of cloth that hold compound, and they sand the surface and a micro level. This is like a mini miracle in your hands, and you have to see it to believe it. A buffed piece of wood almost looks like it’s wet, but there is technically no finish it all. The surface becomes extraordinarily smooth, and it’s all because you’ve micro polished the wood fibers. The look is incredible, and you can handle it instantly because there is nothing drying on the surface. This makes production super fast. You can literally finish a ring in about 30 seconds, but even if you had to spend a minute, you can do 60 rings an hour. This is awesome, especially if you’re making and selling your rings. People love wooden rings, and that something you’ll find out right in the beginning. One of the best things you can do with your new talent is make gifts. It’s a way to give somebody a special item, and it won’t cost you very much. Looking online, wooden rings can cost quite a bit. However, since you now know the secrets, you know that the investment is very low. This means you can do the same thing, and as long as you spend the time to make the ring beautiful, it will make a tremendous gift. 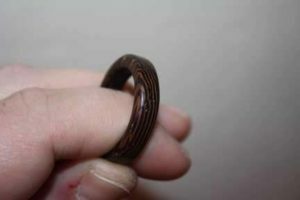 If you have someone special in your life, a wooden ring is a beautiful representation of how you feel for them. Not only is the item beautiful itself, but the fact that you put thought into the type of wood, the arrangement, the design, and the labor, that’s what makes it unique. Anyone can buy a ring, that’s not a talent. Hand crafting a piece of wooden jewelry for someone you care about is an amazing gift. It’s worth far more than the money involved, and it says a lot about how much you care. The techniques that you learn when making wooden rings can be applied other things just as quickly. These include charm bracelet beads, which interestingly enough are one of the most expensive piece of jewelry you can buy. There is nothing special about a wooden charm bead from a brand-name manufacturer. 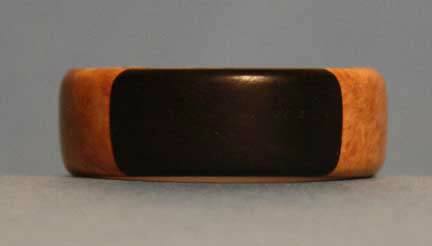 All it is is a piece of wood, with a couple ferrules on the inside of the hole. The ferrules just allow it to slide along the chain without damaging the wood. Even the pieces that have a more expensive or exotic types of wood, are still charging you many many more times the price than necessary. As a wooden ring maker, you can start making these right away, and with basically the same tools. The bonus tip in this series is you will never know unless you start. 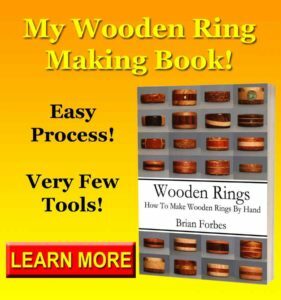 Wooden ring making may seem very basic on the outside, and in reality you can start at the basic level fairly easily, without a lot of trouble or money. However, once you’re on the inside you are going to love this hobby. You get to make something that reaches back in history, that comes from the heart, and that is truly unique to you. It’s an amazing experience. 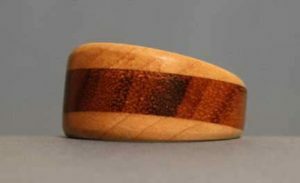 Don’t read over 5000 words about making wooden rings, and not actually at least try the process in your shop. You owe it to yourself to give it a shot, and you have nothing to lose but a little bit of your time, and a couple small pieces of wood. Happy building.